The latter is what we will be focusing on today, as it's with heavy hearts that we've learned VW will be axing the 2-door variant of the popular car. Fans of the 2-door GTI will have to act fast, as the 2017 model will be the last time it's available. VW will cease production of the 2-door GTI after the 2017 model year. Less space. Americans love their space, and in a world where crossovers and SUV's reign supreme, it's possible the 2-door didn't make the cut when it came to grocery store runs and neighborhood potlucks. Special order. We live in a “give it to me now!” kind of society, so that didn't bode well for the 2-door GTI, which was available on special order only. Price difference. The 2-door GTI is only $600 cheaper than its 4-door counterpart. When you're paying $24,995 for a car, an extra $600 isn't a big deal for the added convenience of four doors and no awkward crawling into the backseat. Dieselgate. There's no denying that VW took quite a financial hit after recent controversies, and cutting slow-selling models like the 2-door GTI helps save a little cash. To be honest, the 2-door GTI is...cute. Always has been, always will be. When the Golf (called the Rabbit in North America) landed on US shores in 1975, it set the new standard for how a small car should perform and handle. Available in 2 and 4-door variants from the get go, the VW Golf continuously wowed drivers with solid performance. A first gen 4-door Golf. Sure, the 2-door Golf GTI may be a little old fashioned, but it's still a classic. 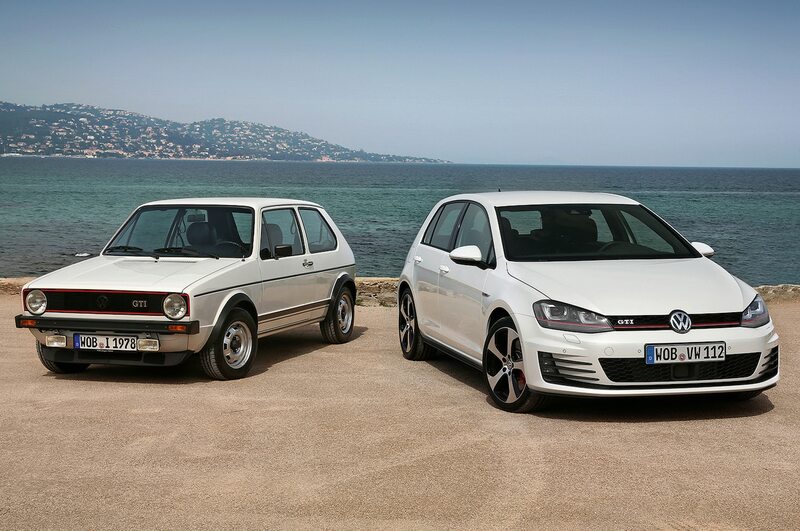 While the GTI isn't going anywhere, we'll be a little nostalgic for the smaller variant. However, it's time for us to face to cold, hard truth: 4-doors are more practical, and you can still get a sporty performance from the GTI no matter now many doors it has. What are your thoughts on the passing of the 2-door GTI? Let us know on Facebook!